At a press briefing in Colombo yesterday, the Media Minister said that a statement, he (Mr. Wickremasighe) made about national cricket player and United People’s Freedom Alliance (UPFA) candidate for Matara district Sanath Jayasuriya should be withdrawn by the Opposition Leader. 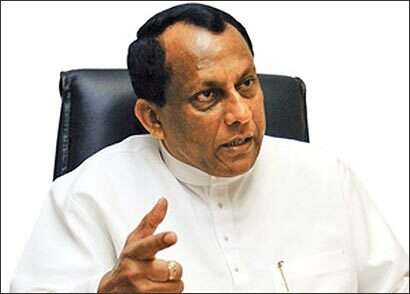 Minister Abeyewardane said let the general public of Matara district decide if Mr. Jayasuriya should be sent to the Parliament or not. “Best option is giving an option for public to decide, instead of making useless statements”, the Minister added. Minister Abeyewardane also added that, Mr. Jayasuriya entered into the politics only because of the request from the leadership of the Freedom Alliance and he has no personal agendas or plans to enter into the politics. “But, as a responsible regime we want candidates representing all cross sections of the society. We were looking for sports personalities, actors and actresses, professionals, intellectuals and many more. That is how Jayasuriya’s entry into politics was made”, the Minister said. “Jayasuriya is a player who played for the country. He brought proud for the country and nation. His foreign tours are not for personal needs but for the country”, the Media Minister stressed. The Minister further added that the Opposition leader has also made a statement about UPFA candidate Geetha Kumarasinghe who contests the elections from the Galle district. “These statements are not for an Opposition leader and a leader of party to make. He must quickly withdraw such statements proving his party is responsible and not after cheap publicity campaign for the elections,” the Minister said. Laxman, Ranil is the best Joker after Fride Silva died. Let him tell what ever he wants. We enjoy this bugger. Laxman, Ranil jokaraya kiyana ewa ganan ganda epa, Oya Jangiya modayek !